Size Chart S Bust: 39.8", Shoulder: 18.7", Length: 28.3", Sleeve: 18.1" M Bust: 42.5", Shoulder: 19.3", Length: 28.9", Sleeve: 18.5" L Bust: 45.3", Shoulder: 19.9", Length: 29.5", Sleeve: 18.9" XL Bust: 48.0", Shoulder: 20.5", Length: 30.1", Sleeve: 19.3" 2XL Bust: 50.8", Shoulder: 21.1", Length: 30.7", Sleeve: 19.7" Product Detail Material: Linen Gender: Male Season: Spring, Summer Features: Cotton, Linen, 3/4 Long Sleeve, Loose Fit, Henley V Neck, Soft. Garment Care: Hand Wash/Machine Wash. Do not Bleach. Non High Temperature Ironing. Avoid Over Exposure. Attentions 1. Please allow 1-3cm differs due to the manual measurement. The color will also be a slightly varied in different display. 2. It'll be highly appreciated for leaving a positive review if you're satisfied with our products or service. 3. The package ships by international shipping carrier, it normally takes around 10-15 days to arrive. 4. Feel free to contact us if you have any questions before ordering or after receiving the products, we'll be glad to help! 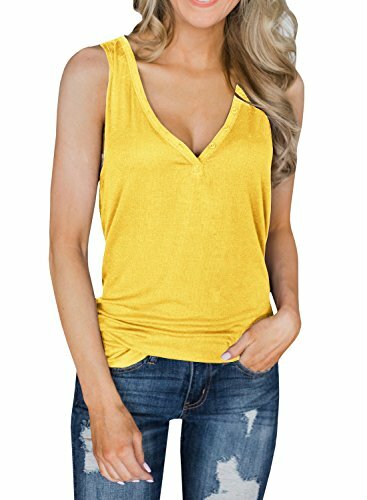 Casual Button Up Crop Tank Tos Sleeveless Henley Shirts Tie Front Top Tee Blouses Features: Material: Cotton, Polyester. Soft light fabric with stretch, breathable, comfortable to wear Button down decoration, V neck, Sleeveless, Unique tie front design Occasion: Casual, Office, Work, Date, Party, Travel, Street, Everyday Wear Easy-match item, casual style, give you different looks from office to happy hours.Size Details: S------Bust 86 cm/ 33.54 inches--------Back Length 61.5 cm/ 23.99 inches M------Bust 90 cm/ 35.10 inches--------Back Length 63 cm/ 24.57 inches L------Bust 96 cm/ 37.44 inches--------Back Length 64.5 cm/ 21.56 inches XL-----Bust 104 cm/ 40.56 inches--------Back Length 66 cm/25.74 inches How to choose the size: Please measure your waist size, then compare with the size information above and choose the best fit one according to your preference. Wash Instructions: Hand/ Machine Washable, Hang Dry, Do Not Bleach. Note: Please allow 1-3cm differs due to manual measurement. The color may be slightly different as pictures due to the monitor settings and monitor pixel definitions. If Any Problem, Please Contact Us. 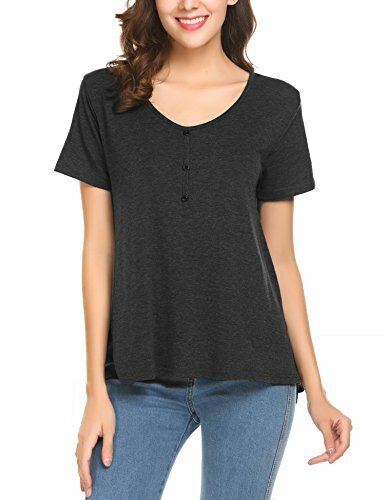 Dellytop Womens Button Up Long Tank Tops Cute Fitted V Neck Sleeveless Tunics Henley Shirts Features: Button Up, Long , Plain Sleeve:sleeveless Neck: V-Neck Size: Bust, Waist, Length S: 35.4", 33.07", 25.98" M: 37.4 ", 35.03", 26.77" L: 41.3", 37.40", 27.55" XL: 45.3", 40.55", 28.34" XXL: 49.2", 43.30", 29.14" Brand: Dellytop Please recognize our brand name"Dellytop". We can't guarantee the quality of other sellers provided can be same as ours. Washing Instructions: Machine Wash In Cold, Spin-Dry or Hang Dry. Please feel free to contact with us if you have any questions. 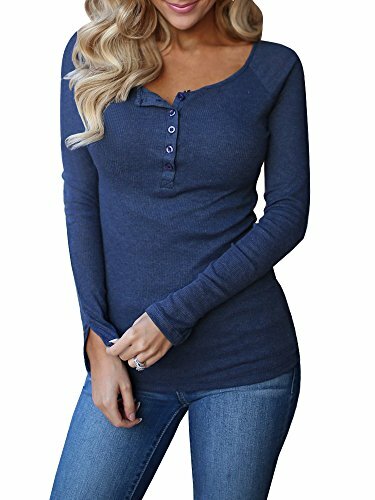 Sleeve Style: Short Sleeves Size Chart(inch) S - - Bust: 36.2" - - Length: 27.5" M - - Bust: 37.7" - - Length: 27.9" L - - Bust: 39.3" - - Length: 28.7" XL - -Bust: 40.9" - - Length: 29.1" XXL - -Bust: 42.5" - - Length: 29.5" Note: 1. Please check the size information in the description below before ordering instead of the default amazon size chart. 2. Any question, please feel free to contact us, we will try out best to make you satisfied. Color: Beige, Blue, Black, Grey, Wine Red, Light Grey, White, Light Blue, Light Green Size chart: Please get it on the picture. Please allow 1-2cm differs due to manual measurement, thanks (All measurement in cm and please note 1cm=0.39inch). Color difference: The color of the products may deviate from their pictures due to lighting and the use of different monitors. But it's not quality issue. Please kindly understand! 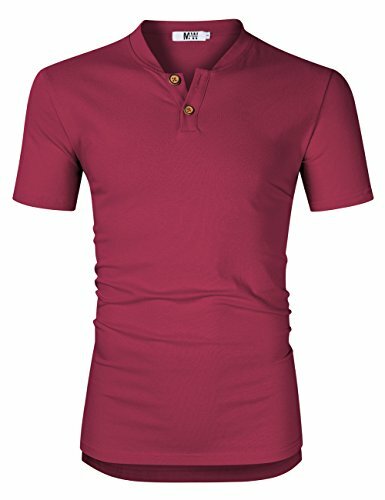 Specifications: Stereotype: Slim fit Pattern: Solid color Closure: Two button placket Sleeve Length: Long Sleeve,Short Sleeve Style: Casual Fabric: Cotton Stretch: Elastic fabric Occasions: Daily, work, holiday, weekend, vacation etc. 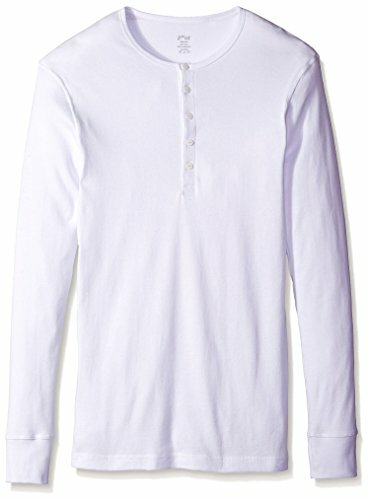 Suitable season: Spring, autumn, winter Package: 1*Henley shirt Dear customer, Welcome to MrWonder, we will check carefully before shipping. Please contact us once you have any question, we'll reply back as soon as we can. Hope you have nice shopping here! 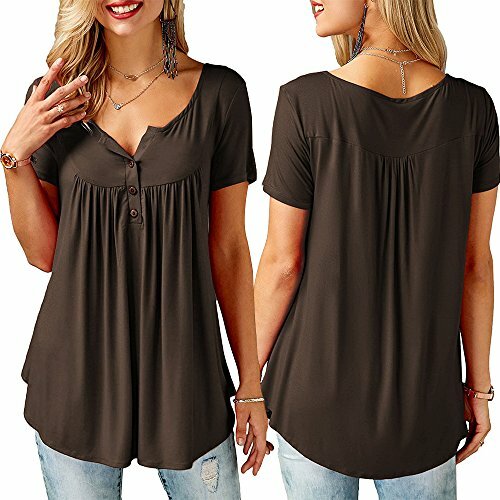 Product information: Gender:Womens Material:33.3% Rayon 5% Spandex 61.7% Polyester Clothing Length:Regular Waist:High waist Color:Grey,Black,Burgundy,Navy Style:Casual,Summer,Popular,Outdoor Season:Spring,Summer,Fall Package include:1x Women t-shirts, others not include Guarantee: We endeavors 100% customer satisfaction service and experience. If you receive damaged or wrong items,please contact us with attached pictures about the problem, we will provide you a satisfactory solution within 48 hours. If you are satisfied with our product or service,hope you can leave your positive feedback! Delivery: FBA: Ship from Amazon warehouse, takes 1-3 Business Days. FBM: Ship from China, 85.3% customers will receive within 2 weeks. 9.9% lucky dog will receive within 1 week, and others will receive within 3-4 weeks. Layer up in these 2(x)ist long johns that'll be sure to keep you warm throughout the colder months. This style comes in a variety of colors. Pair with the matching bottoms to complete your cold weather look. 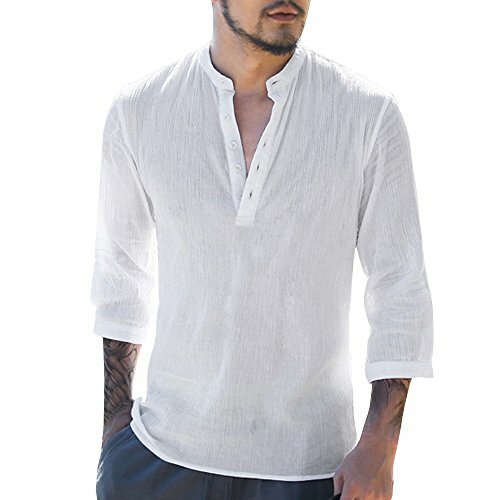 Looking for more Button Up Cotton Henley similar ideas? Try to explore these searches: Polish Emblem, Print Victorian Girl, and Lined Woven Tote. 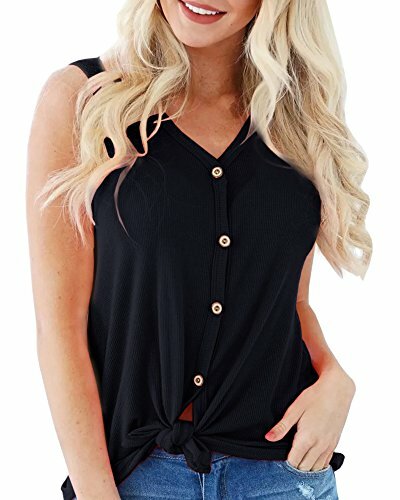 Shopwion.com is the smartest way for comparison shopping: compare prices from most trusted leading online stores for best Button Up Cotton Henley, 01 Lh Door Side Mirror, 36 Piece Cocktail Forks, Up Cotton Henley Button . 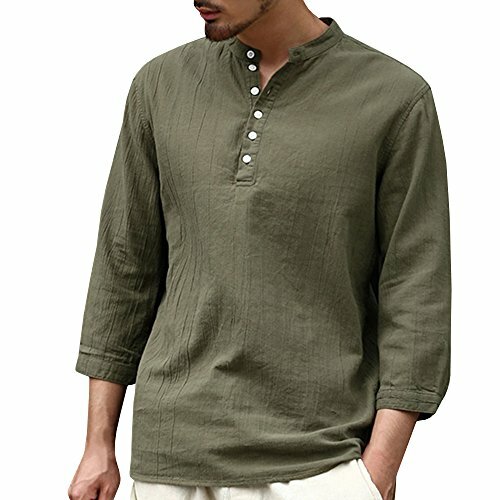 Don't miss this Button Up Cotton Henley today, April 19, 2019 deals, updated daily.